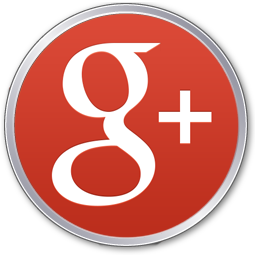 Expert Bathroom Remodeling in Phoenix! 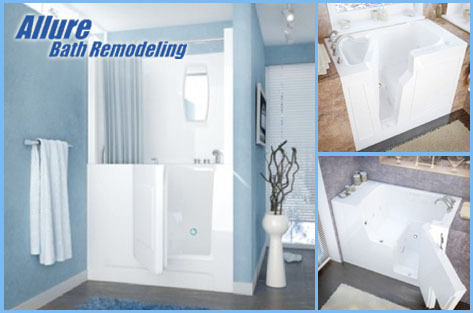 If you are searching for “bathroom remodeling companies near me“, “bathroom remodel“, “bathroom remodeling“, “bathroom remodeling contractors” or “bathroom remodeling near me” in Phoenix, Allure Bathroom Design & Remodeling can help! 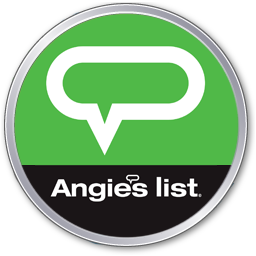 Give us a call today at (602) 741-4745 for a free in-home estimate. 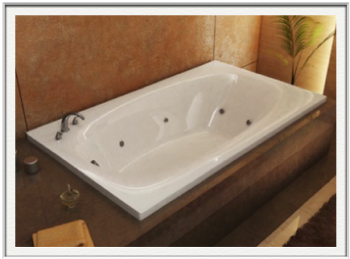 Allure Bath Remodeling is one of the best bathroom remodeling companies in Phoenix Arizona. 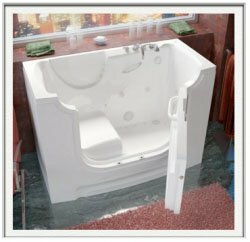 We can design your bathroom to look new again with our collection of custom bathtubs and shower system surrounds, safety bathrooms and much more. Call us today at (602) 741-4745 to schedule your free bathroom remodeling cost estimate or schedule a free bathroom design consultation with our bathroom remodeling contractors. We offer bathroom remodeling throughout the entire local Phoenix Valley area including: Phoenix, Scottsdale, Cave Creek, Carefree, Glendale, Peoria, Surprise and more. 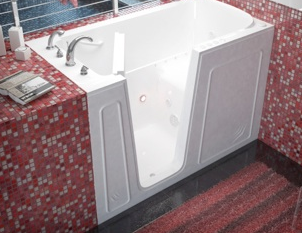 …Allure Bath has the solution! 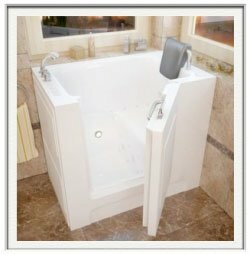 In addition, we also offer tub-to-shower conversions, shower remodeling, and seated shower bases, to provide safe & beautiful alternatives for your old tub. 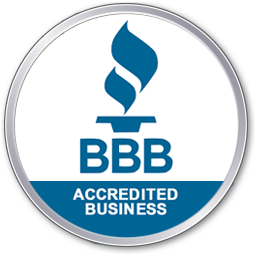 You can trust our expert staff to help you repair serious bathroom problems or simply update your bathroom with a new fresh look at the best price, guaranteed! “Each day it’s a thrill to walk into our beautiful new bathrooms. We appreciate Allure Bath more and more every day. We have very fond memories of their thoughtfulness and kindness, and all the fun we had during the projects. Things couldn’t have turned out any better!” Robert and Karen M.
Need Help With Bathroom Remodel Planning? The better you plan for your bathroom remodel, the better result you will have. What are you able to spend on your remodel. Once you determine a budget, stick to it. 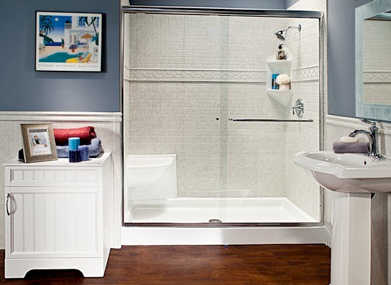 Start a Pinterest board with a bunch of bathroom remodeling ideas you like. Once you have a full list of ideas, make a list of the ones you like the best and remove the ones that don’t suit your needs. After you have a pretty good idea of the scope of your bathroom remodel start talking to contractors to price it out for and give you a free bathroom remodel estimate. Show them your ideas so any issues can be addressed before the bathroom renovation begins. We are very pleased with the work performed by Allure and his crews. We love our new bathrooms and the new floors they put in my living room. Thank guys! The team was diligent, communicative, and neat.I’m impressed and will be using them again for future work. 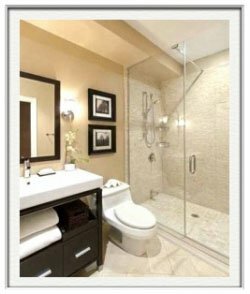 We offer bathroom remodeling Phoenix Valleywide including: Phoenix, Scottsdale, Cave Creek, Carefree, Glendale, Peoria, Surprise and more. 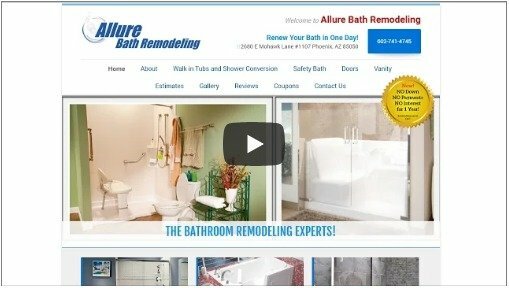 If you are interested in receiving a free bathroom remodeling estimate in Phoenix, give Allure Bathroom Remodeling a call today at (602) 741-4745. We also offer kitchen remodeling. 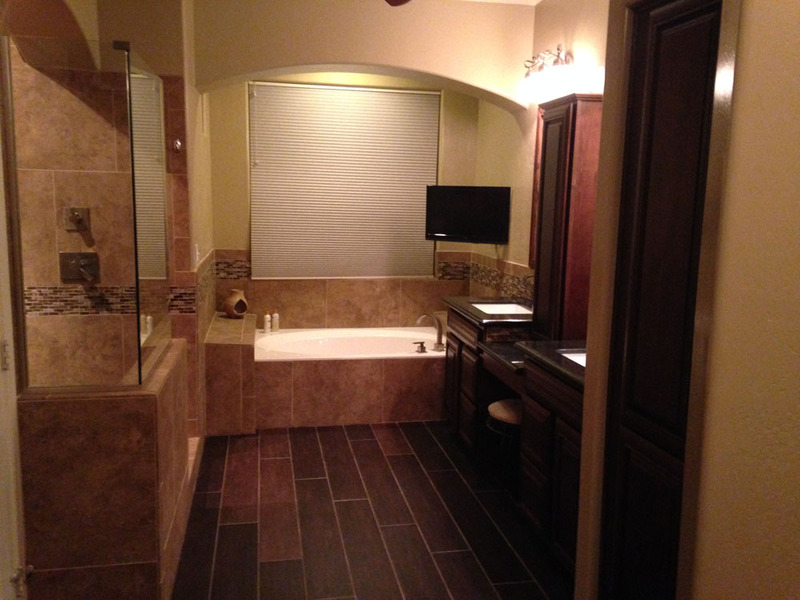 View our Phoenix Bathroom Remodeling ‘Before and After’ Photos Gallery! According to HomeAdvisor, in 2018, the national average cost of bathroom remodeling was $10,169. The study shows some homeowners spending as little as $2,500 for a small bathroom remodel and other homeowners spending as much as $25,000 on a complete large bathroom remodel. Yes, you absolutely can finance a bathroom remodel. We even offer no down payment, no payments, and no interest for 1 year on approved credit! Get your bathroom remodel done today with $0 money out of pocket! 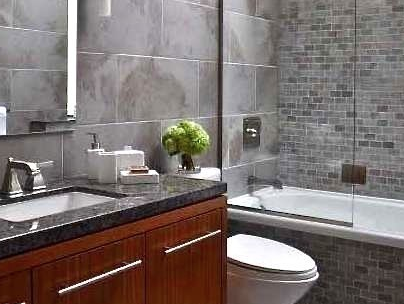 The return on investment for remodeling a bathroom is 63% ROI. Meaning you will get 63% of whatever you spend on bathroom remodeling back in your pocket when you sell the home. For example: If you spend $10,000 on remodeling your home’s bathroom, you will get back $6,300 of that money when you sell your home. 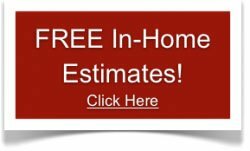 How To Save Money On a Bathroom Remodel? Hiring a bathroom designer or remodeling contractor can help you avoid making decisions that can get pricy. They will make sure you stay within budget and have connections to help you get materials cheaper. Relocating plumbing and utilities can be very expensive. Try to come up with a bathroom renovation that doesn’t require moving plumbing fixtures. Using open shelving instead of expensive cabinetry can help you save and even add more space to a small bathroom. Using vinyl tile instead of marble or other expensive natural stone tile can save you big time. Flooring is priced based on sq footage so if you have a large bathroom you can save even more.